There are times when you are caught without an Ethernet cable or your adapter malfunctions, there's a broken network switch, etc. What would you do in a dire need to set up a network of two or more computers while acquiring Ethernet components is not an option? You could appeal to other technologies and still construct a speedy network: (note USB 3.0 speed of 5GB/s) or . In order to connect two computers we'd need a USB cable with type A connectors on both ends. The obvious advantage here is very modest hardware requirements - just one cable and the rest is set at the driver level. Cross-platform options and the apparent ease of connection might also appeal to many users. In addition, if you use a USB-Hub more than two computers can be linked together. Of course this approach is not flawless by any means. One serious drawback is the limitation of the length of USB cables which is roughly 60 feet. It might not be enough and USB cables of this length are a bit pricey. The first step is very simple, once you connect the cable computers immediately detect the connection of new hardware and install necessary drivers. After installation, the new device would appear in the system under the name of a USB Network Bridge Adaptor. Now you need to configure your network. This is done in exactly the same as for conventional network adapter. After rebooting the system there is a new "network adapter". Now we need to deal with a minor complication: each computer is setup in the same way whereas there should be only one managing and controlling the network. So, what do we do? Let's open network properties on all computers but one and remove all lines starting with 'USB-USB Network Bridge' (not affecting anything else). USB to USB networks can be arranged into three configuration: chain (computers connected sequentially), star (computers connected via a USB-Hub) and a chain of stars. How to set up a network using FireWire ports instead of USB? The route of Firewire networks is even simpler because the technology was created based on the architecture of local area networks. In order to create a FireWire based network with two computers one needs just a FireWire cable. The cable type should match the FireWire connectors on your computers (four-pin or six-pin). Once the connection is established it would appear as "1394 Connection". You'd need to assign IP addresses manually from the 192.254.0.X / 255.255.255.0 network range and all connected computers must belong to the same WorkGroup. If you need to connect three or more computers a FireWire Hub would do the job. The primary advantage of a FireWire network is its speed: ~400 Mb/s vs standard 100Mb/s LAN.The main disadvantage is a short transmission distance - up to about 15 feet. This shortcoming can be resolved by using a FireWire repeater that would amplify the signal and could provide the reach of up to ~300 feet. This technology can work quite nicely for creating a network of several PC's at home or a small office. Additionally the use of a repeater opens an opportunity to create a large network. Typically IEEE 1394 controllers are built into many motherboards. It often comes built-in with Creative sound cards. What if there's no FireWire ports on one of your computers? 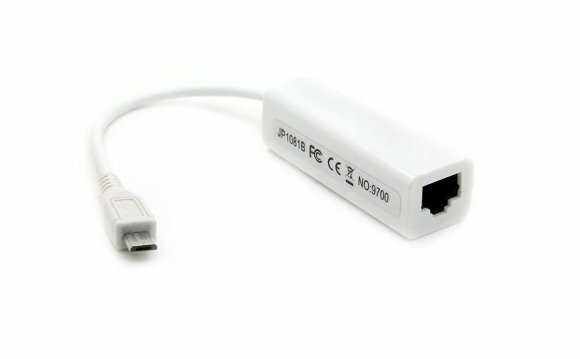 There's a wide selection of stand-alone FireWire adapters (PCI, etc). What is fiber optic cable in Networking?